Let our experts customize your private cruise, beach and jungle adventure. Ecuador is small in size, but big on authentic travel experiences. In the Mindo Cloud Forest, Howler monkeys bark in the distance, while a colorful toucan sits on a branch overhead. Blankets, artworks, woolen socks—an astounding array of textiles and goods greet you as you wander South America’s largest indigenous crafts market, in the town of Otavalo. Clean mountain air makes walks near Cotopaxi, Ecuador’s most famous snow-capped volcanic mountain, truly invigorating. Stretching from the high Andes to the Amazon rainforest, and crossing 600 miles of the Pacific Ocean to the archipelago of the Galapagos Islands, Ecuador is a symphony of nature and culture. Like most symphonies, to get the best harmony, you need a conductor. 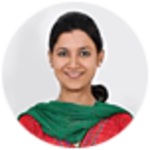 An Enchanting Travels consultant can set the tempo, and orchestrate a smooth private tour for you, with perfect rhythm. The capital city Quito and historic Cuenca are remarkable UNESCO World Heritage sites, packed with 500-year-old buildings, cobblestone streets, and baroque churches. For a very special experience of Ecuador’s gorgeous countryside, stay at a historic hacienda in the Andean highlands, where siestas and sumptuous meals on sun-dappled terraces are the norm. 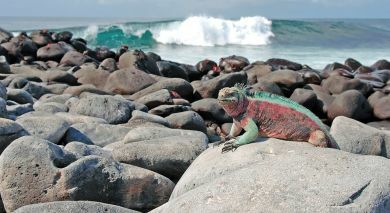 But as every nature-lover knows, the pièce de résistance of Ecuador is a trip to the Galapagos Islands. Meet giant tortoises with a life span of two centuries, and the finches that were so important to Darwin developing his theory of evolution. It’s a long way from the mainland, but if there ever was a magical animal kingdom, this is it. 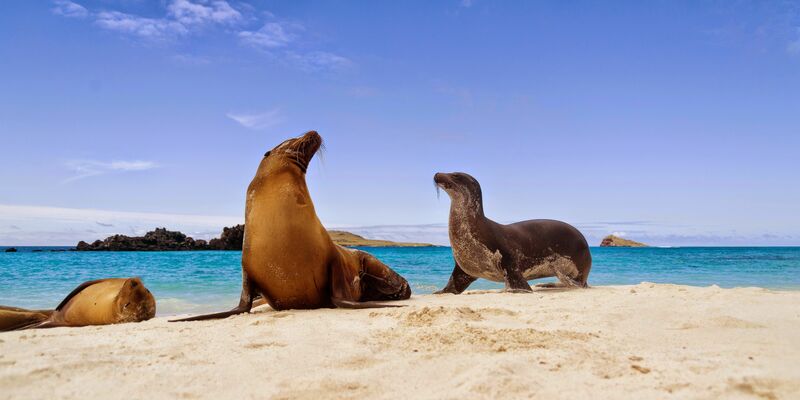 Discover sun-kissed beaches and an unique diversity of species in Ecuador and Galapagos. There are several different climate zones in Ecuador, often close to each other. It is possible to experience several different types of climate on any given day during your trip to Ecuador. Follow these links to find out the best time to travel to Ecuador and Galapagos. What are the popular things to do in Ecuador & Galapagos? Our destination experts share an overview on the top highlights, attractions and activities. Guests visiting Ecuador and Galapagos must provide proof of medical insurance cover that is valid for the duration of the stay, otherwise entry may be denied. Please send us a scanned copy of the medical insurance certificate before the the start of your trip. Our Ecuador destination experts are happy to advise you and help you plan your trip. Ecuador’s population is dominated by mestizo, a mix of Spanish with native indigenous people. During your Ecuador and Galapagos tour, you will find that sharp regional differences exist, namely between the people of the coast (costeños) and people from the Andes or serranos (sierras). This regional difference can be seen in the way people dress, physical appearance, food, accent, politics and other cultural nuances. Indigenous influence can be seen in modern Ecuador almost everywhere but especially in small towns like Otavalo where the local women create beautiful artisanal goods and dress in traditional clothing. The Amazon regions also are still home to aboriginal communities, some in particular, were granted to be intangible respecting their desire to live far from civilization. The chagra is an important cultural figure left over from the Spanish colonialism and hacienda system. You can still find vestiges of the chagra culture in present-day working haciendas and rural communities in the Sierras. Ecuadorians are traditionally optimistic, warm and respectful people. Often times they are indirect communicators who speak with a great deal of courtesy and tend to avoid bluntness or conflict, often going out of their way to say to avoid having to say no. Despite the name, the ‘panama hat‘ is of Ecuadorian origin and can be found in local markets across the country. 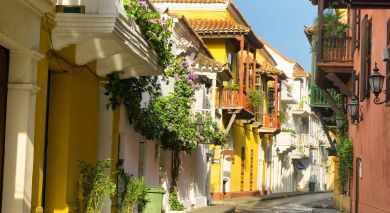 Most notable are the colorful, handmade artisan ‘panama hat’ of Cuenca. Hand-woven textiles such as shawls and ponchos are another principle handicraft as well as intricately beautiful silver filigree jewelry. You will find charming roses everywhere in the mainland during your Ecuador and Galapagos tour. Ecuador is famed for producing long-stemmed roses of exceptional quality and diversity and is the chief exporter of high-quality roses to the world. Prepare for a feast during your Ecuador and Galapagos tour. Often overlooked due to neighboring Peru’s culinary fame, the country’s cuisine is sure to most delightfully surprises visitors. Characterized by rich flavors, Ecuadorian cuisine reflects the small country’s extreme agro-diversity and distinct regionalism. Lunch on the mainland will be the largest meal of the day, and will include a soup as a starter, main course, fruit smoothie, and dessert. The Pacific Coast and Galapagos Islands feature mostly seafood inspired dishes which are prepared as ceviches, fried and as encocados (in coconut milk). The food in the Andes region however, differs considerably. The people there prefer meats, grains and tubers over the seafood dominated cuisine of the coast. Pork is the most common meat which is combined with varieties of potatoes, plantains, mote and rice in stews and roasts. Amazonian cuisine, boasting exotic yet simply prepared food centered upon fresh ingredients such as the green plantain, yucca and river fish, is certain to amaze you on your Ecuador and Galapagos tour. Patacones: fried and mashed unripe plantains. Quinoa soup: a hearty dish. Seco de chivo: tasty goat stew. Mote pillo: Hominy (dried puffed and chewy corn kennels) and scrambled egg dish. Rosero quiteño: a fruity, aromatic cocktail. Encebollado: a delicious and popular dish stew of large chunks of fish, onions and spices. The diversity of Ecuador’s landscapes accounts for the amazing variety in fresh produce. From dragonfruit to guanábana, to taxo, to tree tomatoes, the selection is endless. Eat your way through the eight different kinds of bananas that range in size, taste, and even color (long purple bananas to short petite oritos). Try some local coffee. Ecuador has gained international acclaim as producing some of the highest quality, most flavorful cocoa in the world, representing 63% of the world’s production of fine aroma cacao. This cacao creates exceptional taste experiences through its fruity and flowery aroma, which is a principle characteristic of premium dark chocolate. 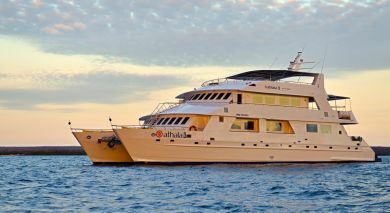 The Enchanting Travels team welcomes you on a private and tailor-made Ecuador and Galapagos tour. Ecuador’s rich history spans more than 8,000 years and, like its South American neighbors is filled with a mixture of ancient cultures, Spanish Colonialism and modernity. On the other hand, the Galapagos Islands’ first recorded discovery was in 1535 when they were happened upon accidentally en route from Panama to Peru. Ecuador was first inhabited by many ancient cultures who were eventually conquered by the Inca. Closely following the Inca rule came the arrival of the Spanish conquistadors, who conquered the last reaches of Inca rule in the north. In 1533 Quito was seized by Spanish conquistador Pizarro’s troops, who burned the city and built a new colonial capital on top. This preserved architecture is now the exquisite modern-day UNESCO World Heritage site, which you can visit on a private Ecuador and Galapagos tour. The following centuries were dominated by Spanish colonialism. Ecuador formed part of the Viceroyalty of Peru and later the Viceroyalty of Colombia. The Spanish employed the encomienda system, a type of feudal society featuring haciendas or large estates held by wealthy Spanish landowners. The land was worked by native Ecuadorians in virtual slavery conditions. This type of economy held fast throughout the colonial era and gave rise to the chagra (Ecuadorian cowboy) culture that can still be found today in rural areas. In 1822 Ecuador finally won their multi-year long struggle for independence when famed South American liberator Simon Bolívar joined Sucre and defeated the Spanish at the battle of Pichincha. After gaining independence, Ecuador was united with Colombia and Venezuela forming the union Gran Colombia, however Ecuador receded eight years later to form its own republic. The century that followed included a long-standing civil dispute between conservatives and liberals in Quito and Guayaquil, which frequently led to violence. After leaders were assassinated, military coups took place and a period of military dictatorship marked the country for most of its modern history, making Ecuador and Galapagos tours nearly impossible for foreign nationals. In 1979 Ecuador returned to democracy and has remained since, though through some tumultuous years, and, needlessly to say, Ecuador and Galapagos Islands tourism has prospered. Current president Rafael Correa, first elected in 2007, a democratic socialist, has brought significant reform and significantly reduced poverty and unemployment through leftist policies and an effort to limit the influence of the US and multinational corporations in Ecuador. Correa is a controversial figure for his alignment with Venezuela’s Hugo Chavez and has been criticised for nepotism and curtailing freedom of speech, in spite of the positive strides made. With lava-spewing volcanoes, no freshwater sources and strange creatures roaming free, the Galapagos Islands were considered demonic and shrouded in mystery. In the 17th century the islands became a popular hideout for British pirates who looted Spanish ships and colonies. In the 18th century whalers used the islands as a food refueling stop, depleting many of the docile giant tortoise population to use for food on long journeys. Traffic became so heavy on the islands that a makeshift Post Office was set up on Floreana, that can still be visited today on a private Ecuador and Galapagos tour. In 1832 the Galapagos Islands were officially annexed to Ecuador and the first formal settlers began to arrive. The early pioneers set up small self-sustaining farms on Floreana and Santa Cruz. Undoubtedly the most important event in Galapagos history was the visit by then young naturalist Charles Darwin, who was to discover Galapagos Islands for himself in 1835 aboard the HMS Beagle. Darwin’s meticulous studies and observations of the unique flora and fauna of the islands inspired his masterwork The Origin of Species and his famous Theory of Evolution that revolutionized science, religion and the world. The iconic animals of the Galapagos inspired Darwin and proved his thesis that species adapt and mutate to fit their environment, survive and thrive in it. In 1934 Ecuador enacted the first legislation to protect the islands and they were shortly later declared a national park and the Charles Darwin Research Station was founded as a scientific station and to help rehabilitate the giant tortoise populations. 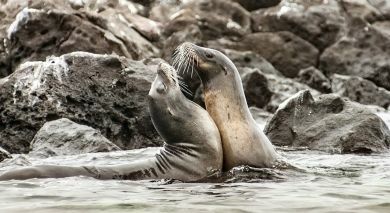 Modern Galapagos has become a site for increasing tours as well as ongoing scientific study. Subsequent population booms have had negative impacts, and efforts to conserve the delicate ecosystems are of utmost important as you will notice during your Galapagos Islands vacation.